If you've been to a few of the top places to go in Italy, consider one of these off the beaten path regions for your travels. Tourism is on the rise in these three regions, so now is a good time to visit while they aren't yet crowded or touristy and are anxious to attract visitors. Not everyone speaks English. If you want to be assured of English assistance, try staying in an agriturismo or Bed and Breakfast owned by native English-speakers. You'll still get a good feel for local life and your hosts are often willing to help with suggestions for where to eat and special places to go. English menus may not be available in many places. Learn some Italian food words before you go or carry a list of Italian dishes with you. If you have dietary restrictions, write them on a card in Italian and show it to your waiter. Museums and sites may not have information available in English. If you'd like an English translator, you can try arranging one through the local tourist office. Many places don't accept credit cards. While you'll find banks with an ATM machine where you can get cash in most towns or cities, many restaurants, shops, and family-run accommodations do not yet accept credit cards. It's best to rent a car to get out of the main cities and easily explore. If you don't mind these conditions, you'll often have a rich and rewarding experience traveling in places where you can still experience traditional life outside the tourist areas. Famous for the beach resorts of the rich and famous in the north, the rest of the island remains a place where visitors can experience traditional life and enjoy spectacular festivals and the local cuisine. Visit a few of Sardinia's top beaches but be sure to leave the coast and head inland, too, where it sometimes feels like you've taken a step back in time. A good place to start a visit to the island is the capital city of Cagliari, with both an airport and ferry port making it easily accessible from the mainland. North of Cagliari is Barumini Nuraghe, a good place for an introduction to the ancient stone towers that dot the landscape. On the way stop at the mural town of San Sperate. The Barbagia Mountain villages are steeped in tradition and a great time to visit them is in fall for the Autunno in Barbagia festivities, held each weekend in different villages. Two of the top mountain towns to visit are Orgosolo, famous for its murals, and ​Mamoiada, the town of mask-carvers where you can visit the interesting Mask Museum. One of Sardinia's top cities to visit is Alghero, in the northwest, a town that still retains its Catalan heritage. A nice place to stay there is Villa las Tronas, just outside the city. Top places for beaches are on the Northern Coast around the Costa Smeralda and Cala Ganone, on the east coast. There are many archeological sites on the island, some of them right on the beach like the Roman and Punic site of Nora and the Phoenician-Roman Port of Tharros. Sardinia's Romanesque churches are some of the best preserved in Italy. 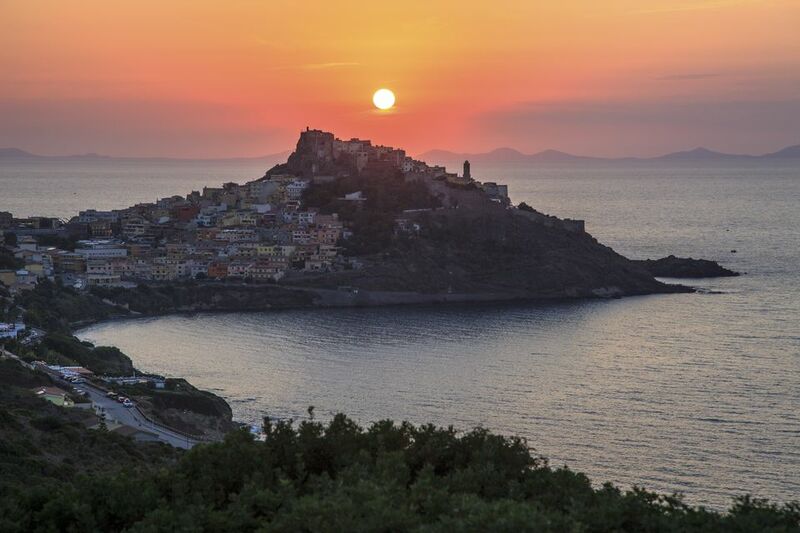 A great place to stay is Hotel Su Gologone, where you'll find English speaking staff and a great introduction to Sardinian traditions and food. A good way to explore the island is with a personal tour guide. Puglia is a long, narrow region with lots of coastline and you'll find good beaches with clean water pretty much everywhere in Puglia. If you don't have a lot of time, it's best to concentrate on just one part of the region as there's a lot to see everywhere. In southern Puglia, visit the Salento Peninsula, including the Baroque city of Lecce and the seaside towns of Gallipoli and Otranto, and Alberobello where there's a large concentration of Trulli, the unique conical structures famous in this part of Puglia. Alberobello is probably the most touristy spot in Puglia but also one of the most unique. In northern Puglia, there's plenty to keep you busy on the Gargano Promontory. Along the coast in between visit Bari, Trani, and Polignano a Mare. If you don't want to rent a car, Puglia does have public transportation options to many places. The main Italian rail line runs inland to Foggia, then along the coast all the way to Lecce. From Lecce, you can get to some places on the Salento Peninsula on a small, private rail line. Puglia offers a couple of unique lodging options. You can stay in Trulli hotels or on a Masseria, restored farm estate, with lodging ranging from rustic to luxurious. The central Italy region of Le Marche sees fewer tourists than neighboring Umbria and Tuscany but it has many attractive hidden gems, especially if you go away from the coast. The rolling hills of the interior are dotted with vineyards and medieval towns and castles, some that have been restored and can be visited. 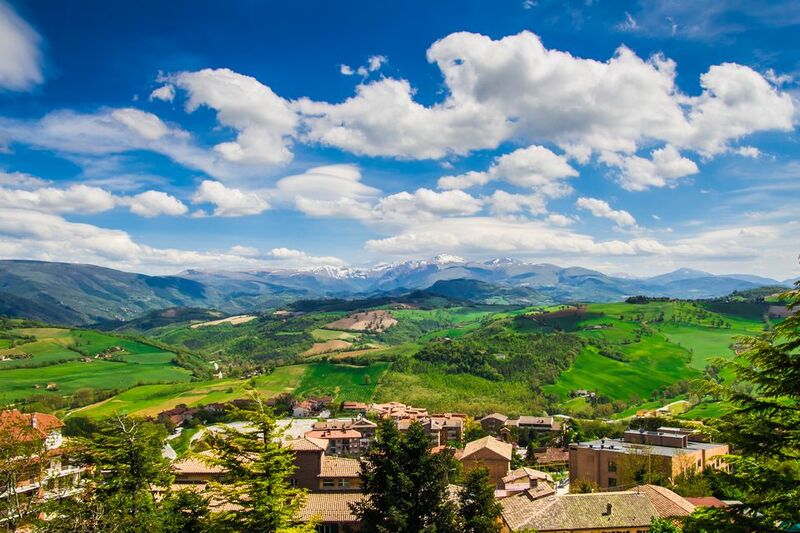 In the central part of the region, the area around Sassoferrato has a lot to see including Roman ruins, medieval monasteries, the Museum of Roman Gilded Bronzes housing four rare life-size bronze statues, and the famous Frassasi Caves, Italy's top caverns. A unique place to eat in this area is the Farrotecca, a restaurant specializing in farro dishes produced on their farm. Ascoli Piceno is a pretty town in the south surrounded by rivers. Its nice historic center has one of Italy's most beautiful main squares. La Quintana, a medieval jousting festival, and the parade is held there in August. Jesi is the center of the Verdicchio wine region, one of Italy's top white wines. A good way to visit wineries and artisan food producers and explore the region is on a tour with Marco's Way, run by an English-speaking native of the region. Which Places Should You Visit on a Trip to Southern Italy?